In the ever-evolving nutrition field, the facts and theories about glutamine may perplex even the most astute clinician. The benefits of supplemental glutamine have been widely studied during the past decade, and this single nutrient remains a hot topic in the realm of clinical nutrition therapy. A conditionally essential amino acid, glutamine is made from glutamic acid, another amino acid, by the action of the enzyme glutamine synthetase. The majority of glutamine is stored in skeletal muscle tissue, with the remainder in the lungs, liver, brain, and stomach. A healthy, unstressed body is highly efficient at synthesizing all the glutamine it needs. Glutamine fulfills many roles in the human body, including facilitating nitrogen metabolism, fueling the cells that line the intestine, supporting protein synthesis, and serving as a critical substrate for the cellular immune response. The speculated health benefits of glutamine supplementation are vast. Glutamine may enhance immune function in individuals who are critically ill and immune suppressed, prevent infection in postsurgical patients, and support the integrity of the gut mucosa in the face of intestinal damage. Supplemental glutamine may speed healing of skin conditions such as severe burns or pressure ulcers due to its role in the inflammatory response, cell proliferation, and collagen formation. During this critical period, glutamine becomes an “essential” amino acid that must be obtained from dietary sources (eg, beef, chicken, fish, eggs, beans, dairy products), oral glutamine supplements, or glutamine-enriched enteral and parenteral nutrition. While little harm has been reported from glutamine, supplementation may be contraindicated in the presence of certain drug therapies and medical conditions (eg, in liver disease when the conversion of glutamine to glutamate and ammonia may worsen hepatic encephalopathy). Enteral glutamine supplements, typically in the form of L-glutamine, are available individually in powder, tablet, capsule, and liquid forms and are often added to protein supplements.3 Doses of up to 1,500 mg/day are considered safe for adults aged 18 and older, but healthcare professionals have provided higher doses for therapeutic purposes.3 Studies have shown that the route of administration plays a role in the effectiveness of supplementation. High-dose parenteral administration of glutamine (greater than 0.5 g/kg/day through an IV) has demonstrated better outcomes in hospitalized patients than lower doses given enterally.2 Historically, glutamine was not added to commercial parenteral nutrition solutions due to instability. The development of stable dipeptide glutamine analogues overcame this barrier. Carolyn Banner, RD, LDN, CNSD, of the University of Chicago Medical Center, has experience with the supplemental use of glutamine for patients with burns and complex wounds, such as Stevens-Johnson syndrome, toxic epidermal necrolysis syndrome, and other necrotizing soft tissue infections. “The primary reason I use glutamine is as a complementary therapy, intended to optimize a patient’s gut health by replacing depleted levels of glutamine and fueling the enterocytes, thereby enhancing a patient’s chance of optimal healing and immune function,” explains Banner, who typically recommends supplementing 0.25 to 0.5 g/kg/day of enteral L-glutamine for adult patients with burns or complex wounds generally with greater than 20% total body surface area. In the May 2010 online issue of the Journal of Critical Care, Cetinbas and colleagues reported that glutamine-supplemented parenteral nutrition suppressed inflammation in patients with systemic inflammatory response syndrome, as evidenced by reduced leukocyte and natural killer cell count. In the June 2010 issue of the journal Nutrition, Mondello and colleagues reported that glutamine-supplemented parenteral nutrition increased the lymphocyte count in anorectic patients, suggesting that the amino acid stimulated the immune response and enhanced overall immune function. As the primary fuel for the cells lining the small intestine and colon, glutamine in supplemental form may significantly enhance gastrointestinal integrity in vulnerable populations. 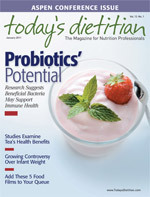 An experimental study on mice, published in 2010 in the Journal of Parenteral and Enteral Nutrition, found that when subjecting the mice to intestinal damage, the provision of enteral glutamine decreased intestinal permeability and preserved the integrity of gut mucosa compared with those that did not receive glutamine. Along similar lines, a study published in the January 2010 issue of the American Journal of Surgery reported the effects of glutamine-enriched early enteral nutrition on intestinal mucosal barrier injury following liver transplantation in rats. Posttransplantation, the intestinal mucosa of the rats was seriously damaged at 12, 24, and 48 hours and subsequent changes to the intestinal mucosa were observed. In this study, glutamine-enriched early enteral nutrition was found to provide strong protection against intestinal mucosal barrier injury after liver transplant. Among the most serious side effects of total parenteral nutrition is liver damage, with infants being the most vulnerable population due to their physiological immaturity. Adult and animal studies have shown that parenteral glutamine supplementation may have a hepatoprotective effect, a theory supported by a recent study published in the June 2010 issue of Clinical Nutrition. Researchers analyzed 30 parenteral nutrition-dependent infants of very low birth weight (defined as weighing less than 1,500 g) and analyzed hepatic function of a glutamine-supplemented group to a control group. The results showed that serum levels of aspartate aminotransferase and total bilirubin—both of which become elevated in the presence of liver damage—were decreased in the infants given parenteral glutamine compared with the control group. Providing support for the positive impact of glutamine-enriched enteral nutrition in the critically ill, a review of randomized controlled trials conducted since 1976 was published in October 2009 in the Chinese Journal of Burns. Of the seven trials that met criteria for inclusion, the researchers concluded that providing glutamine-enriched enteral nutrition to patients who were critically ill lowered nosocomial infection rate and reduced length of hospital stay. They cautioned that further studies with larger samples are needed to better assess the cost-effectiveness and efficiency of glutamine-enriched enteral nutrition for lowering mortality rate in the critically ill.
A meta-analysis of randomized controlled trials by Wang and colleagues, published in 2010 in the Journal of Parenteral and Enteral Nutrition, sought to evaluate the effects of glutamine dipeptide-supplemented parenteral nutrition on surgical patients. They observed a reduction in length of hospital stay by four to five days and a significant decrease in infectious complications. A study by Alonso and colleagues in 2010 in the Spanish journal Nutrición Hospitalaria attempted to find evidence that glutamine-supplemented parenteral nutrition reduced the need for antibiotics, reduced the risk of liver disease, and decreased the length of hospital stay in 68 bone marrow transplant patients requiring parenteral nutrition due to oral mucositis. Unlike in the previously described studies, these researchers observed no apparent benefit to supplemental glutamine in relation to these three variables. — Megan Tempest, RD, LDN, works at Presbyterian/St. Luke's Medical Center in Denver and is a freelance writer. 1. Wischmeyer PE. Clinical applications of L-glutamine: Past, present, and future. Nutr Clin Prac. 2003;18(5):377-385. 2. Oliveira GP, Dias CM, Pelosi P, Rocco PR. Understanding the mechanisms of glutamine action in critically ill patients. An Acad Bras Ciênc. 2010;82(2):417-430. 4. Singer P, Berger MM, Van den Berghe G, et al. ESPEN guidelines on parenteral nutrition: Intensive care. Clin Nutr. 2009;28:387-400.